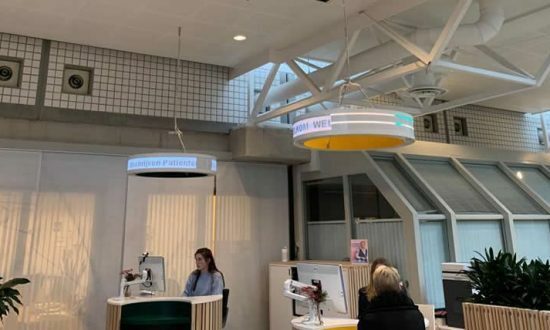 and for hospital information system so when people are entering the counters to ask questions or don’t know were they have to go, now they can see the information on the 360 flexible led Lamp. It’s a new developed concept what can be used in any place you like and can be produced in all customized sizes with a minimum diameter of 100 cm. The Lamps can be control by any software operation system, the Lamps have Wifi, UTP connection or DVI connection, and have normal light integrated in them. The information what is shown is not only text but also full videos can be played.